We recently moved our well known Grant location to the new Bookmans Midtown location at 3330 East Speedway Blvd. just east of Country Club Rd. Bookmans Midtown is up and running and ready for you to come buy, sell and trade. With that said, most of the stores inventory made its way to our new location, but we couldn’t bring everything over, we just had too many books. We love books and want to make sure these fabulous titles find their way into good homes, so we are having a GRANT LOCATION LIQUIDATION SALE! 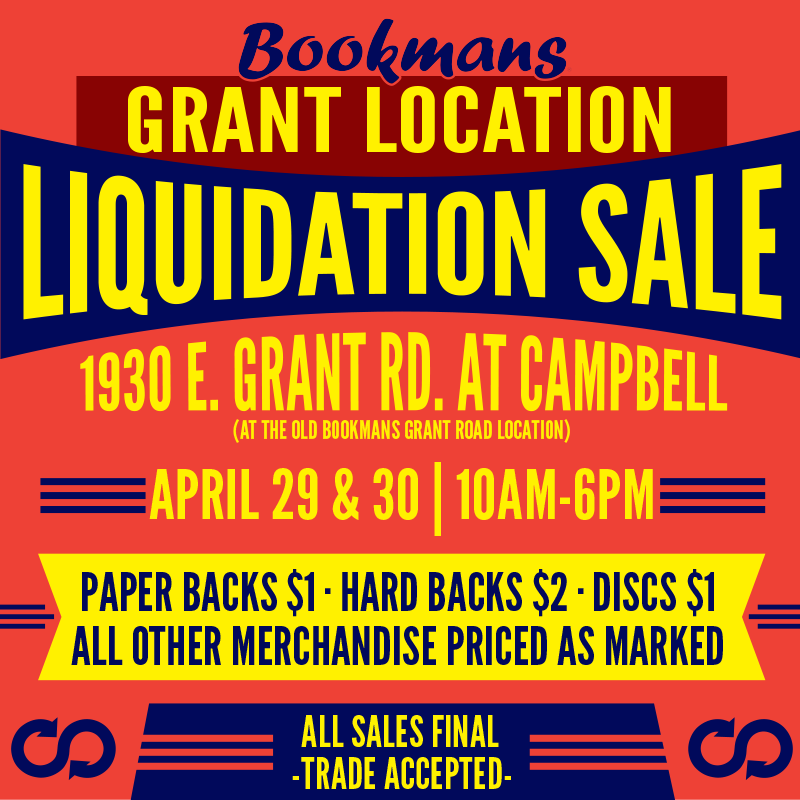 Everything in store at the Bookmans Grant Liquidation Sale can be purchased using your Bookmans trade credit. So grab those yellow slips of gold and head on down to 1930 E. Grant Rd. Tucson, AZ 85719 this April 29th and 30th from 10am to 6pm. All sales are final and we won’t be putting things on hold. Round up your family and friends and come on down for one last shopping experience at the Bookmans Grant location. We hope to see you there! Bookmans is good for the planet, and now even better for your pocket! 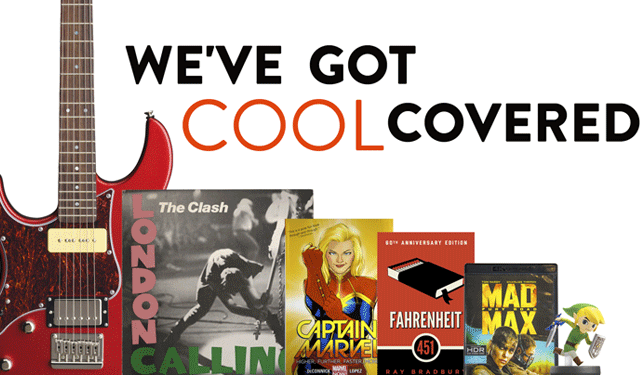 Bookmans Has Cool Covered with These March Events! Thanks for catching the typo, Derrick. We corrected it and look forward to seeing you this weekend. Have a great day! Are there other items other than book available at the Grant store liquidation? Hi Tyler, yes there will be CDs and some store fixtures/furniture for sale. Any DVDs part of the sale? Hi Rokaan, DVDs were sold at the sale. We hope to host another one in the future. Thanks for your question and please stay tuned. I am looking for a c.d…. The who-quadrophinia (sp?) Do you guys have it? I’m 55 miles away, would hate to ride that far for naught… Any help? Hi Bruce, thanks for reaching out. Unfortunately we do not have an online inventory so it would be best to contact your nearest store directly to see if they have what you are looking for. You can find that info at bookmans.com/stores.